Where to eat in New York: our food hot spots for dinner and snacks. Where to eat in New York: our food hot spots! As you might know by now, we are real foodies so a trip abroad is never complete without visiting some of their best food hot spots. We love discovering new types of foods and restaurants. Here are our must visit food spots in our favorite city: New York. Chalana’s absolute favorite! Not only is Serendipity her favorite movie, she loves the food here as well. We both like to visit them for lunch. They offer great sandwiches, burgers and omelettes. Don’t forget to leave a little room for dessert because they have some delicious cakes. 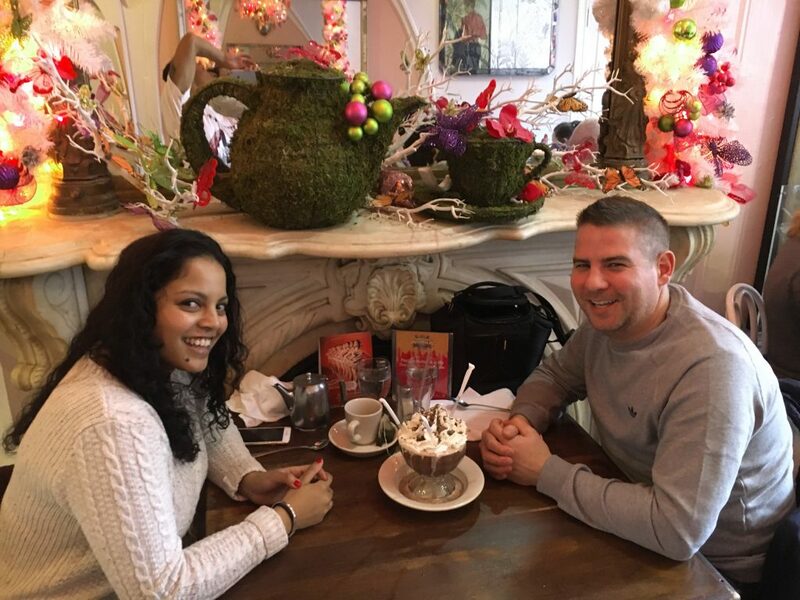 However, you can’t visit Serendipity3 without having their signature frozen hot chocolate. Yeah, that’s the same drink that was featured in the movie. When you leave, be sure to get some merchandise from their little shop at the entrance and don’t forget to make a reservation. The lines to wait can be huge. We discovered this restaurant during our last trip in December and we absolutely loved it! We find ourselves often talking about Tacombi en reminiscing about their amazing taco’s while making Mexican food in our little kitchen. What we liked about the concept is that you can order different toppings on each taco and you are encouraged to share, making it easier to try different ones. Our favorites were the carnitas and the crispy fish taco. 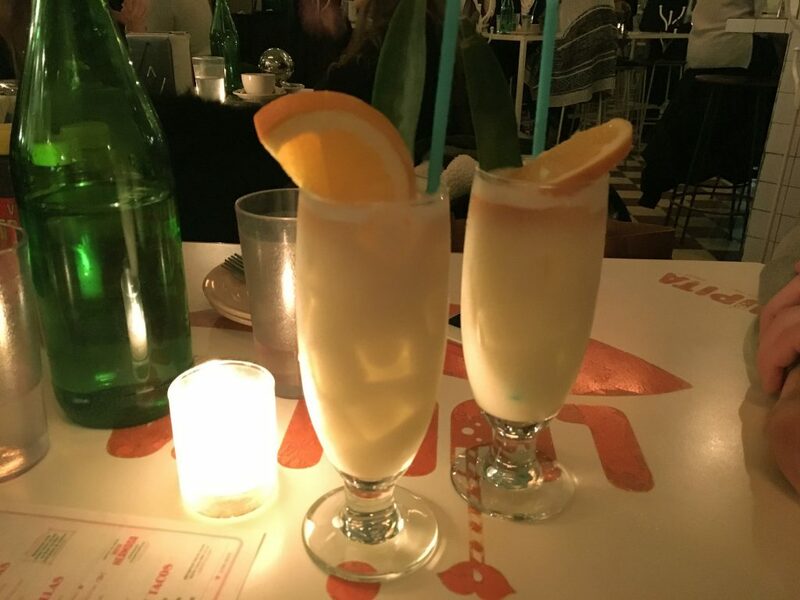 They served some amazing cocktails as well. 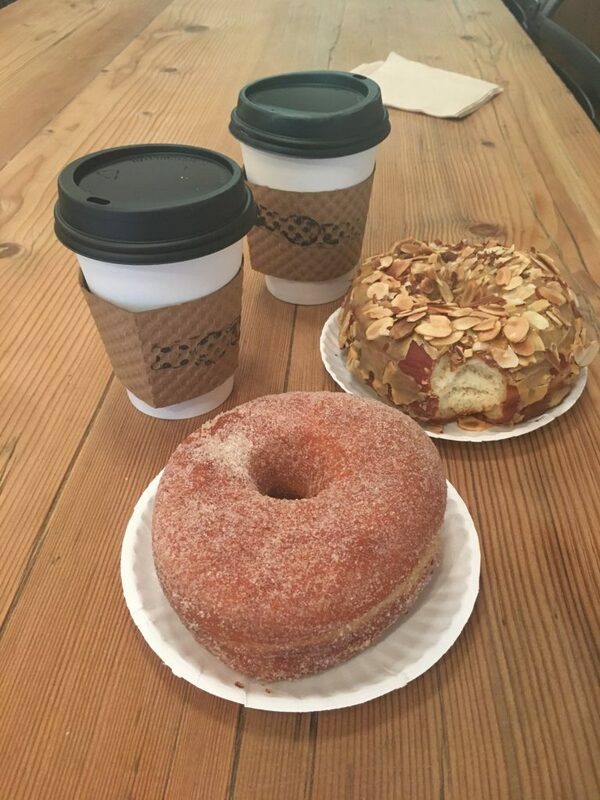 We heard so many good things about Dough, that we just had to try their donuts for ourselves. The donuts are huge and taste so incredibly fresh and not greasy at all! We had a cinnamon sugar donut and the dulce the leche donut. They were both incredible. We had them for breakfast with a cup of coffee and we were stuffed! Again, one of Chalana’s favorites. She can’t leave the city without having one of their famous cupcakes. According to her they taste the best in NYC (she tried Magnolia in Dubai as well). Our favorites here are the vanilla cupcake (nobody does a classic vanilla cupcake like Magnolia does) and their banana pudding! 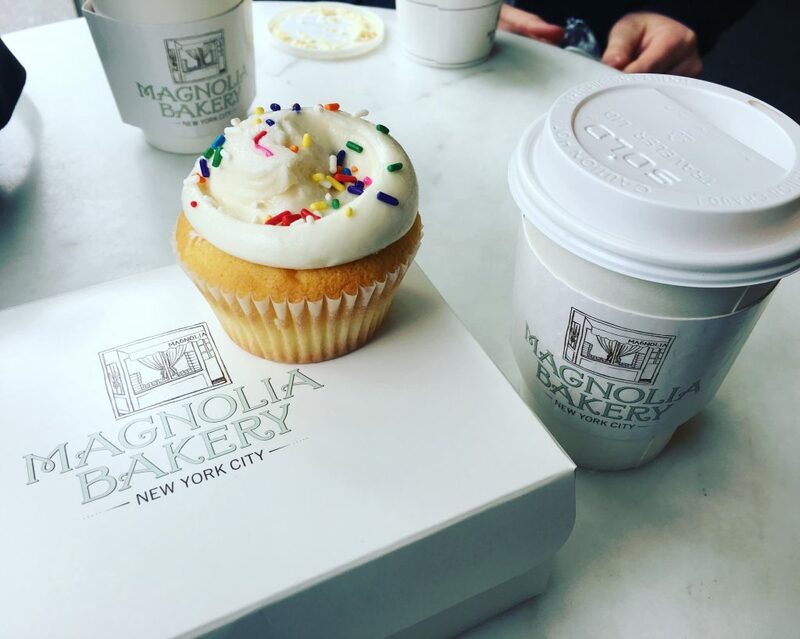 We love to grab a cupcake at their fifth avenue location, but we prefer to sit down at their Upper West Side location with a chai latte watching the yellow cabs go by. This is definitely Ranald’s favorite! What ‘In n out’ is to Los Angeles, that’s what Shake Shack is for New York. 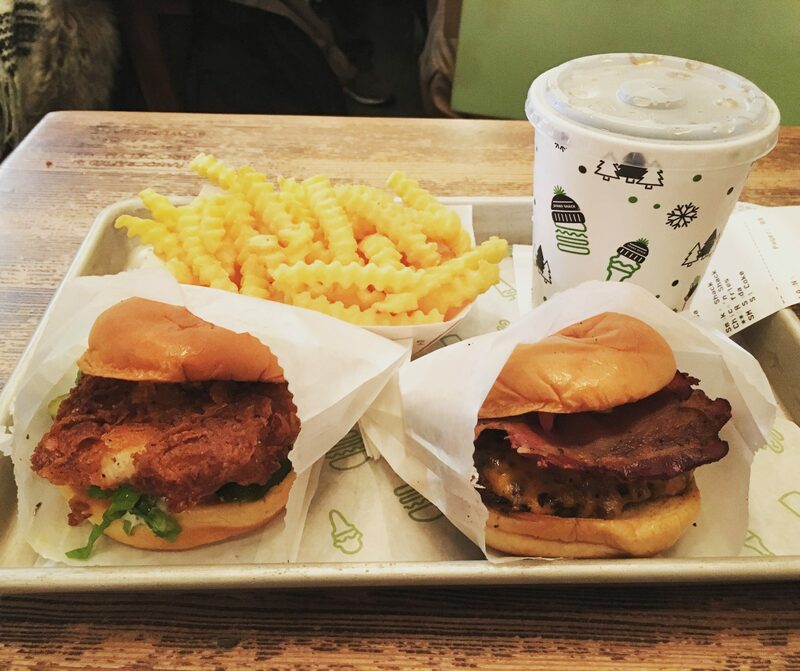 You can’t visit NYC without trying Shake Shack. There are locations across the city so you can’t miss them. Be prepared for long lines at all of their locations. Our favorites are the Smokeshack, the Chicken Shack and their crinkle cut fries. Their hotdogs were a tad disappointing, so stick to their burgers! We know that there are tons of gyro stands all over Manhattan. But in our opinion there is only one that has the best gyro and that is ‘Hallal guys’. 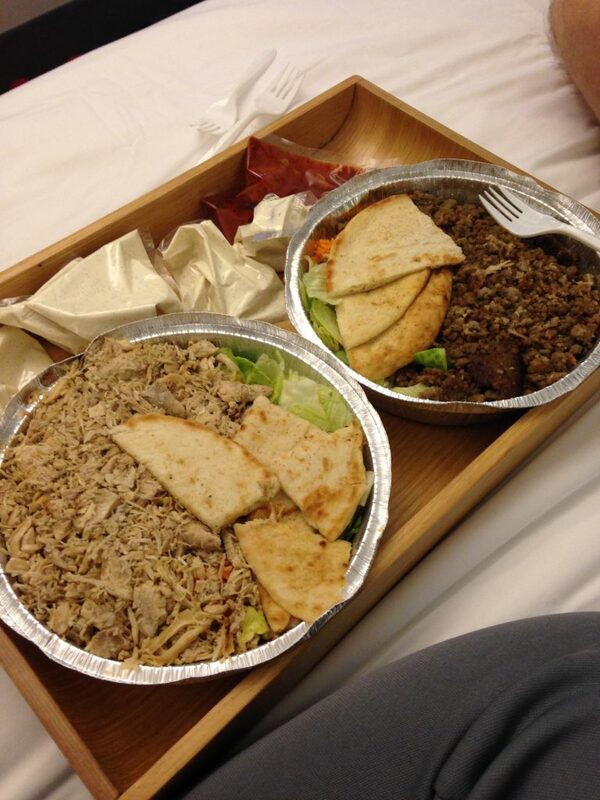 Our favorite is their classic chicken over rice platter. We used to love their lamb as well, but unfortunately they discontinued their lamb in 2015 replacing it with beef. 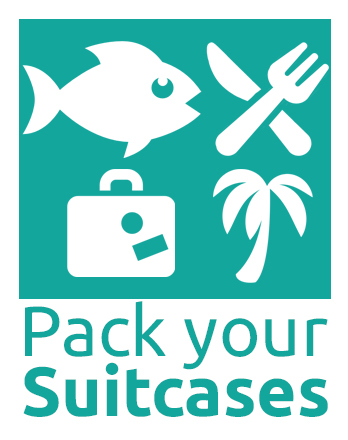 Since our first visit to Hallal Guys in 2011, they have opened a number of restaurants. We prefer to visit them at their 6th avenue stall. There is nothing more satisfying than ordering a gyro after a long day of strolling through the city and eating it while sitting somewhere along 6th avenue watching all the people go by. Adress: various locations in Manhattan. We visited: W 53rd Street & 6th Ave. These are some of our New York favorites. What are yours? 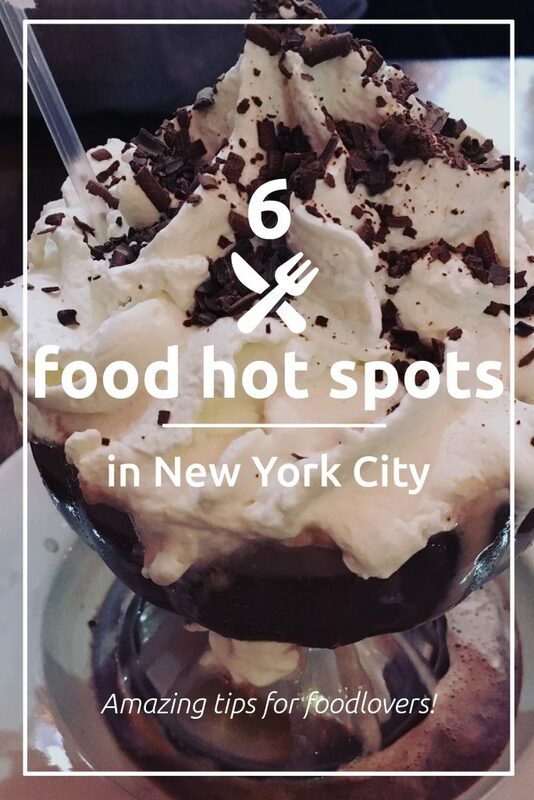 Let us know, so we’ll have some new food hot spots to try out on our next trip to New York!